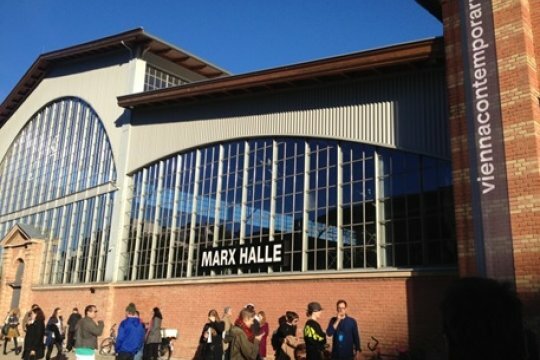 From 27 to 30 September 2018 Vienna's Marx Halle, a former industrial space of the 19th century in the south-eastern part of the city, hosted Viennacontemporary art fair with 118 galleries from 27 countries profiling more than 400 artists. Upon completion, it was announced that with over 30,000 visitors the fair was able to surpass last year's figures. Viennacontemporary is often labelled as a fair with a Russian accent, meaning that the art forum tends to get numerous guests from Russia and CIS countries; also since 2012 70% of the fair shares belong to the Russian entrepreneur and philanthropist Dmitry Aksenov. 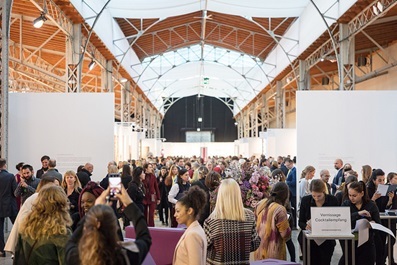 Within a short span of time the fair has become one of the leading events in the European art calendar presenting up-to-the minute contemporary art. 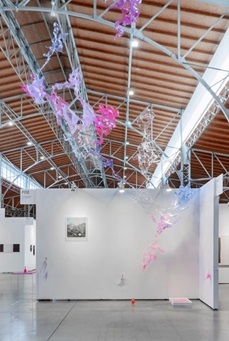 It is now internationally acclaimed and has its own niche on the art scene, which makes it the most “eastern” among the European events of a kind: one third of the galleries come from Eastern and Central Europe, one third of participants are from Austria and the rest represent other regions and countries. “The rise of contemporary Vienna is clearly visible in the 4th edition of Viennacontemporary. Young Viennese galleries that have been founded in the past few years can be seen next to established Austrian galleries. Eastern Europe is well represented including galleries from Ukraine and Serbia… Vienna's art scene has clearly crossed the boundaries of its traditional historical art values and I'm happy that Viennacontemporary is among the major events of the new generation full of fresh spirit”, said Christina Steinbrecher-Pfandt, a long time Artistic Director of the fair who announced that she will be leaving her post after this year’s event, but will continue as a fair representative in the US. The name of the new curator will be made public by the end of the year. Another initiative aimed at making the voice of Russian contemporary art louder and more distinct was introduced at the art fair. Inna Bazhenova, publisher of The Artnewspaper and Dmitry Aksenov, co-founded a new online newsletter Russian Art Focus that will provide a professional overview of the Russian art scene to foreign audiences in English. 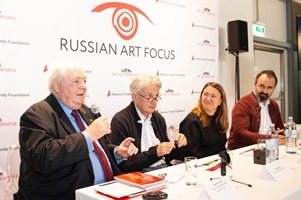 Presenting the project both of them, as well as Nicolas Iljine, member of the advisory board and Richard Wallis, Editor-in-Chief, explained why it was important to draw the attention of the rest of the world to the Russian art scene in a familiar language. 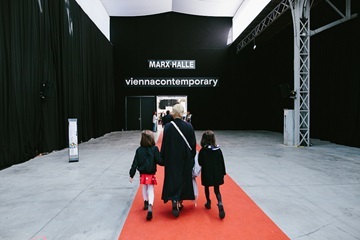 The main programme of Viennacontemporary included a comprehensive programme of special events with individual presentations by young and established artists in Zone1 and Explorations as well as collateral events such as Talks and guided excursions for all age groups. Zone 1 curated by Victoria Dejaco (Italy/Austria) focused on artists under the age of 40 who were born and educated or are living and working in Austria. The new Explorations section under Nadim Samman's (UK/Germany) curatorial guidance showcased booth presentations and selected galleries. His fresh approach to art has taken him to numerous international exhibitions, including the Moscow Biennale of Young Art which he curated in 2017 and his visit to the Russian regions as part of the very recent Nemoskva project. This year, just as at the previous fair, there were three Russian galleries in presence. 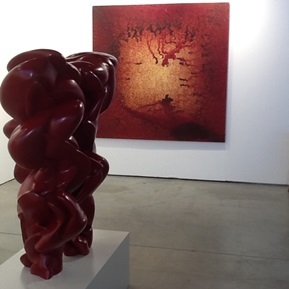 Anna Nova Gallery of St. Petersburg offered digitally created sculptures by Yegor Кraft and the new spacious installations by Aljoscha, a well-established German-based artist of Russian-Ukrainian decent, whose works seemed to match Vienna’s spectacular exhibition venue. 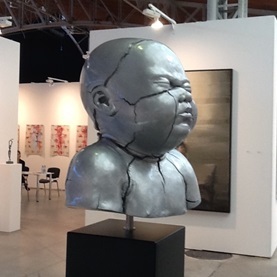 Moscow gallerist Sergei Popov (pop/off/art gallery), an annual fair participant, brought a record number of artists for his broad European clientele, including works by Vadim Kosmachev, Vitaly Pushnitsky and Igor Shelkovsky. Vladimir Ovcharenko (of the former Regina gallery) who now operates internationally under the brand bearing his last name, offered works by Sergei Bratkov and Sergei Zarva. The list of Russian artists was much longer than that: for instance, Vadim Zakharov and Olga Chernysheva, long-time global players, were represented by some of the Western galleries. 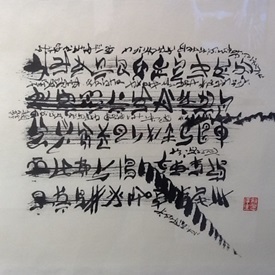 The Aksenov Family Foundation also had its own booth where they had chosen to showcase works by the recent IPSI graduates, as well as New Music, a few graphic pieces by Konstantin Novoselov, a physicist and Nobel Prize winner, but a newcomer in art. The artist and art dealer Alexander Petrelli with his “walking” gallery Overcoat actively introduced the European public to a variety of contemporary Russian artists, whose works of small formats he could display in the folds of his transformable coat. Non-commercial Focus zone traditionally profiles art of some East European country. This year Focus section set the current art map of Armenia and offered a glimpse of recent realities in the rethinking of six contemporary artists curated by Sona Stepanyan. Art was sold within a broad price range – from a few hundreds of euros to hundreds of thousands. The most expensive object was offered by Thaddaeus Ropac gallery – a large-scale piece by Robert Longo for $600, 000. The same gallery traded an abstract painting by George Baselitz dated 1993 for a modest €450,000, but high prices are not typical of Vienna art forum. 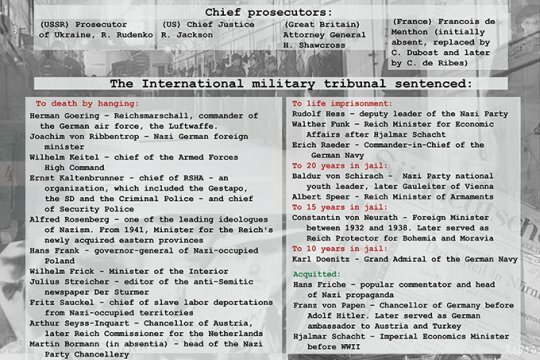 Even such names as Andy Warhol (a well-known series of print works “Thirteen America’s Most Wanted” from 1963 was €15, 000 in the booth of Galerie Michael Schultz from Berlin, where big names were displayed next to talented graduates of German and Austrian art schools. As years go by, the owners of the fair are teaming up with the Vienna city authorities in a more productive and inventive way. 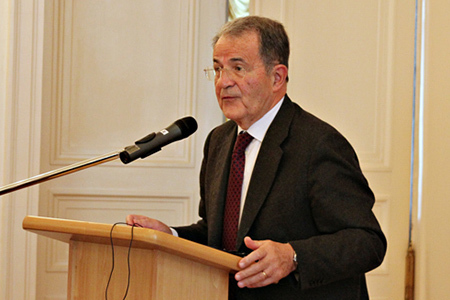 The city officials also do everything possible and impossible for the capital of Austria to get touristic dividends from such forums: they create a rich parallel programme and synchronize openings of new exhibitions attracting a broad audience and numerous tourists to the city. This time Vienna offers a remarkable Claude Monet’s retrospective at the Albertina, while the Leopold Museum has put up two major jubilee shows by Egon Schiele and Gustav Klimt. In 2019, 450 years will have passed since the death of Pieter Brueghel the Elder. On October 2, right after the closure of the fair, the Kunsthistorisches Museum unveiled the first-ever major monograph exhibition of the Netherland's most important painter of the 16th century, which promises to become a real crowd-puller this autumn. At the fair opening Dmitry Aksenov emphasized that that he would like to build “a cultural Davos” around Viennacontemporary: “We would like Vienna to become an international centre to drive changes in the cultural sphere, and it has all the potential to be a core of the future international forum dedicated to innovations in the field of culture”. The next Viennacontemporary will take place in the end of September 2019 and the dates with Marx Halle have been fixed till 2027. Viennacontemporary and its Russian owners have big plans. And a long way to go. 716: 30 seconds to mars. Viennacontemporary to Become “a Cultural Davos”3 October 2018: Viennacontemporary to Become “a Cultural Davos”! лучшие комедии. Viennacontemporary to Become “a Cultural Davos”.